Sturdy yet beautiful wardrobe perfect for your dressing room, bedroom or living room. Available in different colour combinations. Here: Sonoma frame + Sonoma front with mirror. 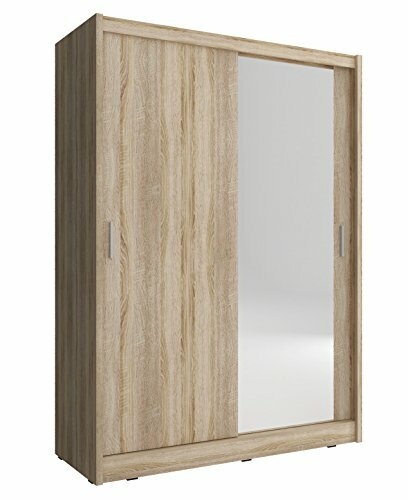 Size: Height: 200cm (6ft 6inch) Width: 130 cm (4ft 3inch) Depth: 62cm (2ft) Weight: 165 kg The wardrobe is made of high quality laminated board 16mm thick. Equipped with a professional system SEVROLL MICRA (aluminium rails and wheels with bearings) Both rail and shelves provide lots of space for your clothes and makes storing easy. Comes with additional shelves.